In 2009, a university announced a prominent researcher in the field of protein crystallography had likely fabricated nearly a dozen protein structures. 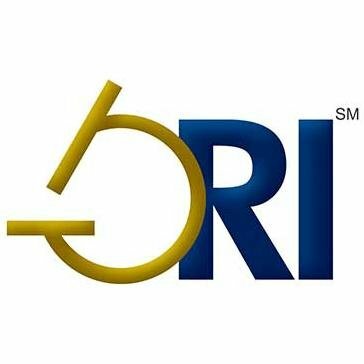 Nine years later, the U.S. Office of Research Integrity (ORI) has upheld the results — and announced a relatively long sanction, by the agency’s standards. Today, the ORI placed a 10-year ban on Federal funding for H.M. Krishna Murthy, a former research associate professor at the University of Alabama at Birmingham (UAB), noting he “falsified and/or fabricated” research in nine papers and multiple structures added to a widely used database. Four of the papers have already been retracted; two others have been flagged with an expression of concern by the journal. Three remain otherwise intact. If you need evidence of the value of transparency in science, check out a pair of recent corrections in the structural biology literature. 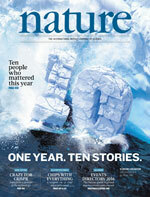 This past August, researchers led by Qiu-Xing Jiang at the University of Texas Southwestern Medical Center corrected their study, first published in February 2014 in eLife, of prion-like protein aggregates called MAVS filaments, to which they had ascribed the incorrect “helical symmetry.” In March, Richard Blumberg of Harvard Medical School, and colleagues corrected their 2014 Nature study of a protein complex called CEACAM1/TIM-3, whose structure they had attempted to solve using x-ray crystallography. 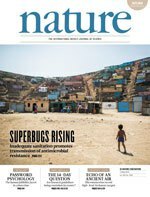 Nature retracted a paper on protein structures today, six years after an investigation at the University of Alabama identified several structures that were “more likely than not falsified and/or fabricated” by one of the authors. Biophysicists in India have retracted two crystallography papers describing protein binding sites following “concerns,” according to one retraction note. 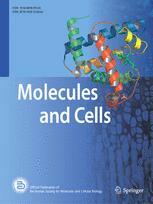 One paper, “Structural Studies on Molecular Interactions between Camel Peptidoglycan Recognition Protein, CPGRP-S, and Peptidoglycan Moieties N-Acetylglucosamine and N-Acetylmuramic Acid,” was withdrawn from the Journal of Biological Chemistry in August 2014. A mistaken molecular structure has led to a retraction and a withdrawal for group in India studying optical crystals. A group of researchers in the Netherlands has retracted a paper once they realized that the findings weren’t reproducible and that there had been an error in the experiments. A paper by a crystallographer fired from his university for misconduct has been partially retracted. Last year, we covered the case of Robert Schwarzenbacher, formerly of Salzburg University. Schwarzenbacher had provided the crystallographic data for a paper in the Journal of Immunology, but those results raised questions with another crystallographer and prompted an investigation by the university. Schwarzenbacher admitted he’d committed misconduct, although he recanted at one point, and was eventually fired. Every now and then, we see retraction notices that refer vaguely to legal issues. Sometimes, we can dig up the actual reason. 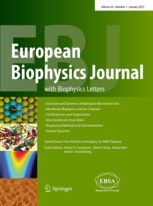 But the European Biophysics Journal has two retractions that leave us completely in the dark. In 2010, a group of crystallographers immunologists and allergy researchers at the University of Salzburg published a paper in the Journal of Immunology claiming to have derived the structure of a birch pollen allergen.